Showing results for tags 'csr'. Photopia is looking for CSR & Photographers! Photopia Photography Services is looking for talented artists to join our team!Can you read your clients and show the essence of their ideas in a picture? Does creativity define you?new or experienced residents count on you! We need reliable people to help customers and guide them through the booking process... So customer service representatives are welcome to our team! Visit us inworld, check our work and take an application!
? Looking for Amazing people to join our team! ? Busy auction house looking for CSRs & reliable experienced Auctioneer's! Unicorn Gardens is looking for Csr's to assist our auctioneers during our 4pm auctions in return you will be given a percentage of the auctioneers tips knowledge of breedables and more so amaretto is a must as you will be pulling up links to desirable traits. We are also looking for a reliable and experienced auctioneer for fill in work calling. We are a successful auction house 25+ patrons most nights all buying & selling! main breedable is amaretto horses but we are a mixed breedables auction house. So if your looking for some work are knowledgeable about breedables and are ok working for tips then come join our family! Please contact Poe...(asadamorriesy) in world..
Hello guys. I'm willing to work as a manager/CSR for a company. I'm online during European time 5AM SLT and later and I speak fluent English. My timezone is SLT+10. Feel free to contact me @Kittann and let's get to know each other. Need a JOB!? Join the Art Addicts Team! Art Addicts is Hiring Photographers and Reps! Join the team that makes Art Addicts the best studio on the grid, meet new friends, and share your art. We are a full service professional photography studio established in 2014. AA is owned by two master SL photographers, Keira Lewellen and Bren Dovgal. We have a fun, welcoming atmosphere, and a steady stream of clientele. Photographers make 80% of bookings + 100% of tips. Service Reps make 10% on each booking + 100% of all tips + bonuses. Set your own schedule, and make some extra money! ***We do ask that photographers are experienced in painting hair. *** Apply here: PHOTOGRAPHER APPLICATION SERVICE REP APPLICATION Visit our gorgeous new studio location in world! Looking for experienced in various positions! Hie, Are you people friendly? Can you give at least 24 hours per week? Do you have an active SL social life in social media? Do you love to work in a team? Then, Oh Snap! Photography Studio is looking for a Sales Rep. The commission is reasonable + there is fixed payment on hourly basis. We just have 1 vacancy left. Hurry and send GiaBlossom [Manager] a notecard. Please note: Must have Skype account to be updated with the staff chat. Are you an auctioneer or CSR experienced in Amaretto horses, Obsidian Chimeras, Fawns or any of the Evo products? If so, we're looking for YOU! Consortium is currently hiring auctioneers and CSRs for all areas! 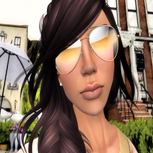 Please contact CourtneyWagner Resident inworld for details on job description and benefits.